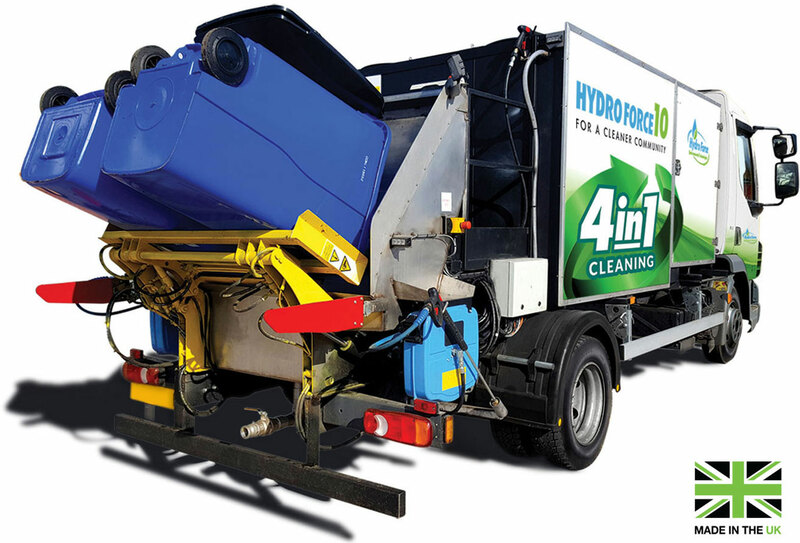 The most reliable, powerful and versatile bin cleaning equipment available. 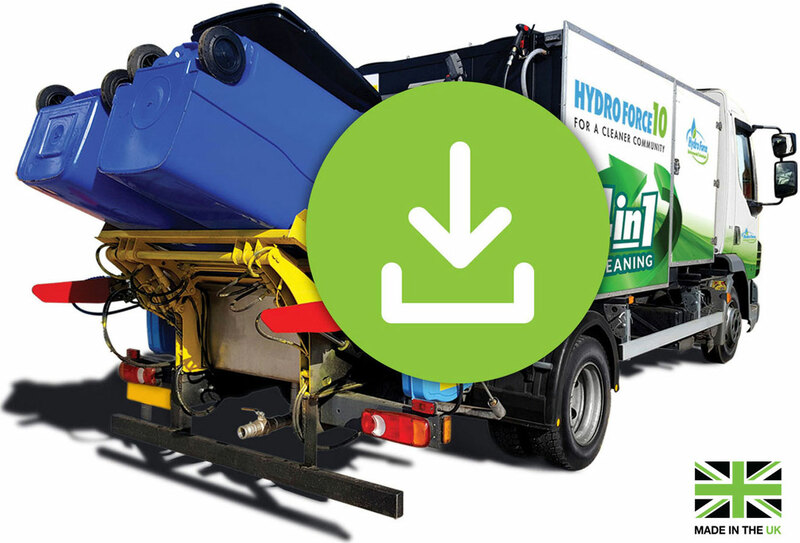 For full specifications including capabilities and safety features please download the HydroForce10 brochure. Thoroughly cleans either 2 domestic bins, or one commercial bin at a time. Twin rotating wash heads that move in and out of the bin. 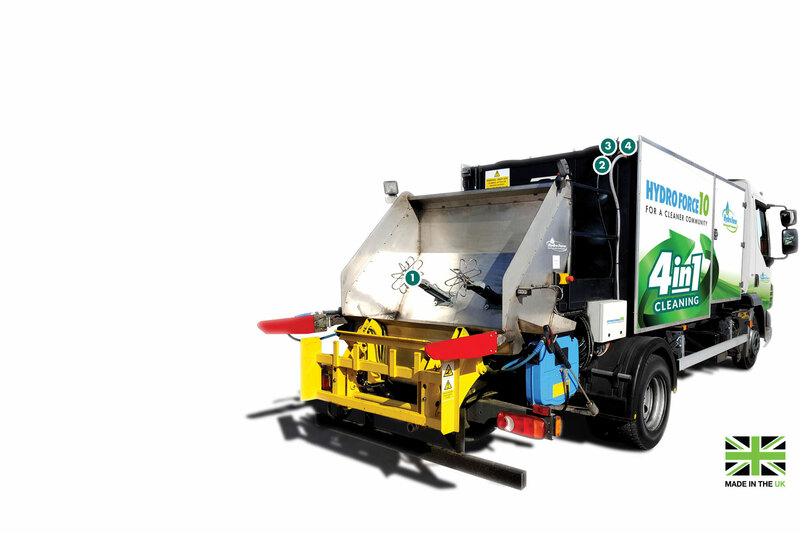 Fully galvanised heavy-gauge steel chassis, to ensure a long service life. Waste water collection tank to comply with EA legislation. Street Scene packs enable two operatives to remove graffiti and chewing gum. Safety features prevent the wash heads being operated unless safe to do so. Emergency stop controls to comply with safety legislation. UK designed, tested, manufactured and CE marked. 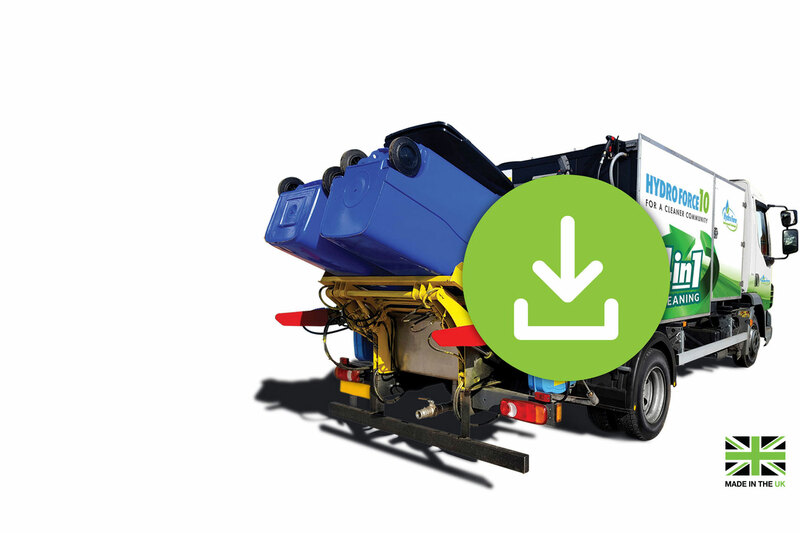 One machine – multiple applications. 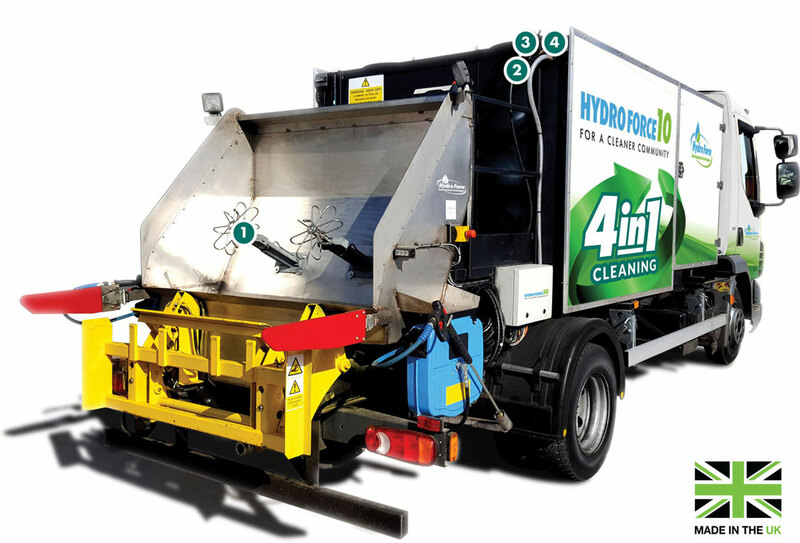 HydroForce 10 – One machine, multiple jobs. Bin Washers Ltd, All rights reserved.